The evolution of the loss prevention profession has required a change in the way we approach the retail environment. First, we now recognize that inventory shrink is a more complicated problem than mere theft of merchandise. Shrink is a complex issue. Shrink reduction is now seen as a vehicle of profit enhancement and an integral part of the retail model. We have new perspectives on how we can influence company profitability in other ways as well, which has allowed us to set our sights on the bigger retail picture. As a result, our retail shrink management strategies require a multifaceted and broad-based approach in both design and administration. The three major causes that contribute to inventory shrink in any retail operation are internal theft, external theft, and operational compliance. An effective loss prevention program must focus on all three of these areas. If you only focus on one or two of them, the ones you dismiss could negate the success you gain with your programs in the other areas. In the area of operational compliance, an in-store audit must be one of the components of your inventory control strategy. The fundamental purpose of auditing is to “inspect what you expect.” All companies develop strategies to reduce and control loss. However, these strategies don’t work unless they are in place and being adhered to. Audits enable you to “inspect” the compliance to these strategies and programs. In-store audit findings enable you to identify and address issues prior to taking inventory and receiving shortage results. If used properly, audits can provide the actionable information you need to “course correct” and ultimately achieve desired results. However, it is the setup and execution that determines success. Audits must give an accurate picture of what is actually happening in a store or facility. If they don’t, they have limited value. In order to correct issues, you must know what they are. Auditors must be able to objectively report their findings. While that may sound like common sense, it doesn’t always happen. Consider this. If the person who conducts the in-store audits reports directly to the district or regional manager who is responsible for managing the stores, can they truly audit objectively? Will their “partnership” be jeopardized if the LP person fails them in an audit? Will the LP person’s performance evaluations be negatively impacted? In order to get full value from your auditing efforts, structure your LP auditors so that they report independently from the people who run the facilities they are auditing. Joint audits are another methodology that can cloud objectivity. For example, having the district manager and LP auditor conduct an in-store audit together will generally result in more subjective audits. The district manager is ultimately responsible for the stores and will tend to be more lenient with the scoring. They will sometimes give the store the benefit of the doubt. Then, due to their higher management level, they can influence the LP auditor to be more lenient as well. Objectivity is important because the goal is not to have passing audit scores, but to achieve the desired shortage results. If every store passes their audits and the shortage results do not meet expectations, then the program is not effective. However, if the audits have been conducted objectively and the stores are all passing, the poor shortage results are most likely due to one or both of the other two potential problem areas: internal and external theft. This enables you to focus on those areas during the next inventory cycle. In most retail operations, stores are held accountable for inventory shrink in their performance metrics. Therefore, having the appropriate motivation to reduce shortage is already in place. However, to get optimum results from your audit program, there must be consequences for failing an audit. The consequences should be serious enough to get the attention of the person being audited. For example, if a store fails an audit, it should result in some type of disciplinary action. If the consequences aren’t meaningful, store management will not focus the appropriate attention on achieving compliance and passing the audits. If you can create the objectivity and accountability, you are on your way to creating an effective audit program. Without senior management support, it is almost impossible to have an effective in-store audit program. You might as well use your LP resources exclusively for investigations and physical security because auditing will be a waste of effort. Senior management understands the value of an effective audit program. To get their support, first develop the audit program concept that best fits your business. Second, review it with your supervisor. Once the two of you have finalized the program concept together, present it to senior management for their approval. They will often have additional input that will enhance the program. It also enables them to take ownership of the program. This will help obtain their support because they feel that they have been part of the process and contributed to it. If you don’t have an effective store audit program or don’t have one at all, what is the best way to revise your current audit program or get started with a new one? Start with the fourth key: a credible audit. Create a task force that includes corporate, loss prevention, and store management. The selection of the task force members is important. By including store personnel in this process, there will be more of a sense of ownership, and the in-store audit will have more credibility. This helps positively address the “ivory tower” perception, where store employees feel that “corporate” doesn’t know what really goes on in the stores. Consider including the people who write your company policies to be members of the audit task force. Those people can fully explain the purpose and content of the procedures. A side benefit is that they actually educate many members of the task force who may not fully understand existing policies and procedures. Consider including representatives from the internal audit department. These individuals can add tremendous value based on their in-depth auditing experience. Finally, consider including representatives from human resources. Their input will be critical when you discuss the disciplinary action consequences for failing audits. Challenge the task force to develop an in-store audit that addresses shortage control in all areas of store operations. This does not normally include creating new policies and procedures, but just selecting those that will make a difference in reducing inventory shrink. The breakdown of our operational controls is a primary contributor to many of our profitability dilemmas, and a key component of a plethora of our loss prevention concerns. Directly and/or indirectly, these breakdowns can have a negative influence on every aspect of the business and can have a dramatic impact on bottom-line results. [easy-tweet tweet=”An in-store audit is a tool–not a test.” user=”lpmag” url=”http://bit.ly/2Gel27K”] The audit should serve to make the store or other facility more efficient and more profitable, working with the store teams and providing a means to train and develop the associates. It is vital that we approach our audit functions with the appropriate understanding of our role in order to most effectively serve the company. That understanding should be reflected in the way that the audit document is constructed, completed, and presented. The spirit of the entire process should be one of growth and progress. What is the best way to score the audit? One way is simply by using yes and no answers and creating a percentage of yes answers. An alternate way is assigning a point value to each question and weighting the questions based on value in controlling or reducing inventory shrink. 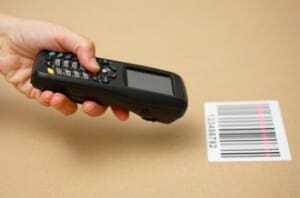 For example, if checking in merchandise that is shipped to your stores is an important focus to manage inventory shrink, questions regarding receiving should be more heavily weighted. You can even have certain questions that result in an automatic failure, such as: if the auditor were to find the loading dock door open and unattended—automatic failure. Another possibility would be that if a question was found not in compliance in a previous audit and was found again not in compliance, it could result in an automatic failure. There should be a passing score identified. This is an important part of holding people accountable for failing audits. Everyone should know the passing score and the consequences of failing an audit. This is where senior store management support is critical. If senior management supports consequences for failing audits, store management knows that it is a company priority. If you have created an audit that monitors compliance to the required daily operating disciplines, a store manager who cannot pass their audits is not running a good store. The district manager will be aware, without the benefit of the audit, of a store that is not running the way it should. Therefore, the district manager will in most cases address and correct the issues or terminate the store manager long before the final step in the disciplinary action process. Certainly, there is an organizational and administrative value tied to the audit score. But more importantly, the in-store audit should provide feedback regarding progress and achievement. It should be a tool for providing guidance to the stores on how to improve performance. It should provide motivation to improve, continue or renew effort and results. We have to see the audit and our role in the proper light if we expect to see the desired outcomes. Following are some of the primary steps necessary to implement a new in-store audit. Name It. The first task in implementing an in-store audit is to name the audit. This may sound trivial, but what you call the audit can actually make a difference in how it is received by the employees. Some companies do not like to use the word audit because it is perceived as a negative. Call it a “process review” or a “visit guide.” Use whatever terminology fits the culture of your company. As long as the inventory shrink audit has the correct components, it doesn’t matter what you call it. Field Test. To ensure that the new in-store audit works effectively, it should be field tested. This enables you to identify problem questions and correct them before you roll out the entire program. Select a small group of auditors and have them conduct the audit in several stores. The auditors should report back the findings to the task force for further refinement. Internal auditors from your task force are excellent resources for this field testing. Distribute It. Once finalized, the revised procedures and new audits should be provided to all stores. Stores should be given time to “ramp up” before the new audits are scheduled to begin. Allow the stores to take the steps necessary to prepare themselves for the audits. This enables you to address any challenges in advance of rolling out the final version. Train Auditors. Another important component necessary for the success of the program is the training of LP personnel in how to audit consistently. All audits must be conducted in the same way and produce the same assessment in all stores. One way to ensure auditing consistency is to create a loss prevention auditor’s manual that contains detailed explanations of what the auditor should be reviewing for every question on the audit. This will ensure that all auditors assess the same questions in exactly the same way. The manual should be provided to every store so that they also know every question and the audit instructions. Make sure there are no surprises. Communicating this information to the stores will eliminate many of the challenges when a question is missed. Create Checklists. To help stores pass their inventory shrink audits, which is obviously the goal of the program, stores should be required to complete daily or weekly checklists. These checklists are a tool to ensure daily attention to the policies and procedures that are reviewed on the audit. Checklists can be created directly from the audit. Many times stores will break the audit into sections and use them as the actual checklists. Audit Schedule. To get full value from your in-store audit program, you must have a random and unannounced audit schedule. The only way to get a true picture of what is really happening in a store is to show up when the store doesn’t expect you. All store operations people will prepare their store for any type of visit if they know it is coming. It is the same with an audit. By keeping them random and unannounced, all stores will operate more consistently on a daily basis in anticipation of receiving an audit. The key here is to have stores that are “audit ready” every day, not just when they expect an auditor to be in their store. Store Response. Once in place, a sign that your audit program is taken seriously is the “shoot the messenger” response. If a store manager receives a failing audit, they will claim that the auditor conducted an unfair audit. They will claim that the auditor “doesn’t like” the store manager or the district manager and are getting back at them. This approach is an effort to take away their responsibility for failing the audit. If you have created a fair and objective in-store audit, the best way for the store to pass is simply to adhere to the required policies and procedures, but be prepared for this challenge. If not handled properly, the “shoot the messenger” response can negatively impact the credibility of your audit program. Store Management Training. Another benefit of an effective audit is training. When a new store management person is first assigned to their store, have them conduct an audit along with the LP auditor. Going through the inventory shrink audit will train them on operational procedures. It will also give them an understanding of the current condition of their store and what opportunities they have to focus their efforts on. Course Corrections. Audits must be conducted often enough to allow course correction during the year. Many companies take once-a-year inventories. It is the consistent execution of shortage control policies and procedures that provide the positive end-of-year results. One formula that works well is a quarterly audit in all stores and a monthly audit in high-shortage stores. To maintain consistency with a quarterly disciplinary action matrix in the high-shortage stores, take the three monthly audits and average them into one inventory shrink score for the quarter. The averaged score can then be tracked in the quarterly reporting. Of course, your program must fit your company’s structure and budget. Tracking Results. There are many ways to input and track audits results. Some companies use paper audits and manually track the results. Some companies use software programs and handheld devices that enable them to instantly view, sort, and track results. Some companies use paper audits and then enter them into an audit software program. This can be done using in-house systems, or you can use specifically designed auditing software from outside vendors. However you do it, make sure that the results you track include not only the total audit scores, but the responses to each individual question as well. First determine your program and then identify the system that works best for your company. The ability to quickly view the results of the inventory shrink audits should be a major consideration. Audit scores are important, but so are the common findings. For example, knowing that 95 percent of your stores failed questions 25 and 26 on the audit will enable you to determine why they are failing those questions and identify what needs to be done to get them back into compliance. Common findings should be reported on a regular basis so you can course correct throughout the time period leading up to your inventory analysis. Communicating Results. Timely reporting of audits is important. As soon as an audit is completed, the results should be communicated to the store and the district manager. This enables them to take immediate action to correct identified issues. The sooner they can be addressed, the sooner they can be corrected. The results of your audits should be communicated throughout the organization. The best way to do this is to have them reported along with all other company performance metrics. They should also be included in annual performance evaluations. You must have a credible audit that is tied directly to required daily operating disciplines, the audits must be conducted objectively, there must be accountability for failing scores, and the program needs senior management support. It sounds simple, but it takes a daily effort to ensure that you are effectively managing the inventory shrink process. It is all in the execution. How do you measure success? By monitoring store compliance and correcting identified deficiencies quickly, you can ensure a good shortage result at the end of each inventory period. Audits can serve as an important vehicle for ensuring operational compliance, enhancing awareness, measuring key performance functions, and providing valuable teaching and training opportunities. Still, our impact on the business is only as successful as our methods, our approaches and our attitudes when conducting the audit, when sharing the results, and when supporting the store teams. Information must be used in a positive and productive way. Our objective must be to improve the performance and productivity of our stores, and add value to the organization as a whole. This article was originally published in 2007 and was updated July 31, 2018.